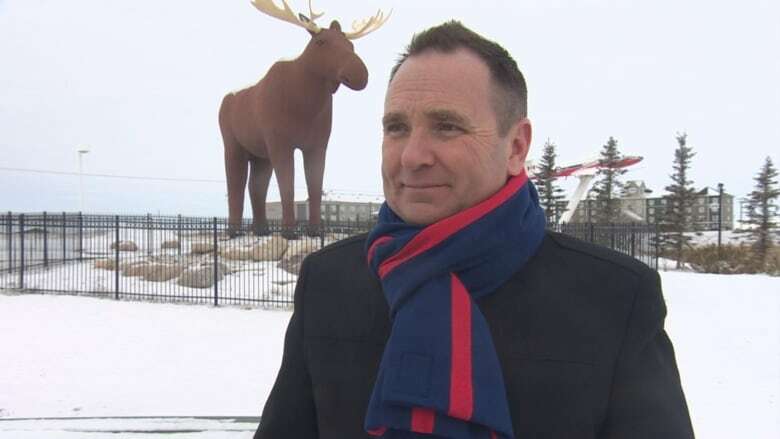 Moose Jaw's Mac the Moose wants to be the world's largest moose statue again. Mac the Moose wants to reclaim his title as the largest moose statue in the world. At a press conference held on Monday, Moose Jaw Mayor Fraser Tolmie read a speech "prepared" by Mac. In it, Mac "granted permission" for the people of Moose Jaw to restore him to his former glory. "I will soon reclaim my status as the world's largest moose," Tolmie read. Mac the Moose was dethroned by Storelgen — a statue constructed some 240 kilometres north of Oslo, Norway — by only 30 centimetres. The size difference was pointed out by Regina comedy duo Justin and Greg over a Facebook live video. The pair started a GoFundMe page to help Mac the Moose restore his former glory, which has garnered nearly $2,500 so far. In his speech Mac noted he was not ashamed of his size. "I am not ashamed of my size nor should anyone else be," Mac said through Tolmie. "This is not a size issue, this is a pride issue." The mayor said he was unsure how Mac would be made taller. He suggested skates, stilettos or even stetson, the hat worn by Mounties. Tolmie said he was thankful for the support that has poured in from across Saskatchewan and around the world, and jokingly called the international dispute a global issue. 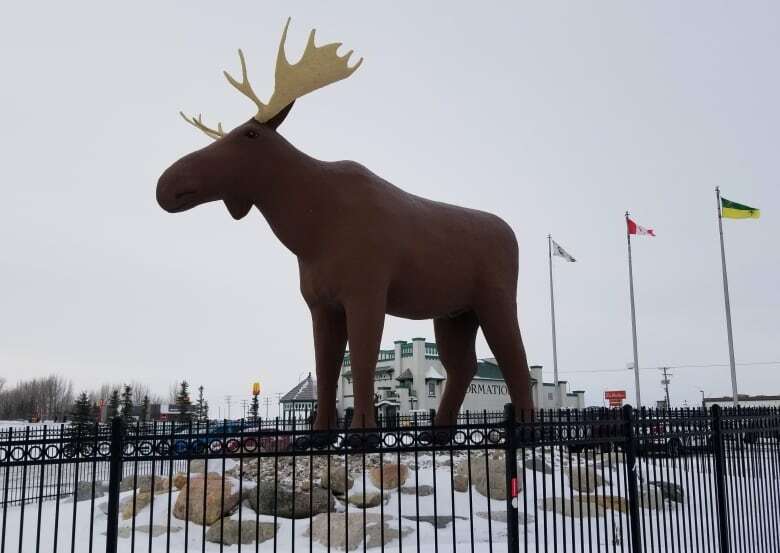 Jacki L'Heureux-Mason, the executive director of Tourism Moose Jaw, said the effort to reinstate Mac as the largest moose statue in the world would not involve tax dollars — instead, the entire campaign will be funded by donations. "We do feel the most immediate and obvious answer is to have him shed his antlers, as moose do, and grow a new set," she said. She said an older couple used to stop in for a visit every year and leave a donation for Mac's upkeep. They have since died, but left an endowment for Mac the Moose, which was to be used to help care for Mac according to L'Heureux-Mason. L'Heureux-Mason said that endowment would be used in an effort to restore Mac's glory. She said requests for involvement in the project have already started coming in. She also noted the first task is to look at Mac's structural engineering to figure out if he is constructed in a way that allows for changes to be made in a safe way. 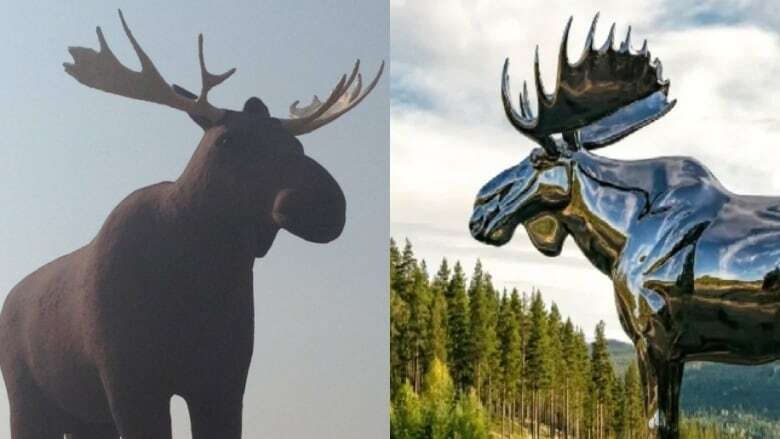 While it is still unclear what action Norway will take, the artist who designed Storelgen has previously said they would be looking at all their options, including doubling the size of their "bling moose" statue. On mobile? Check out our moose poll.